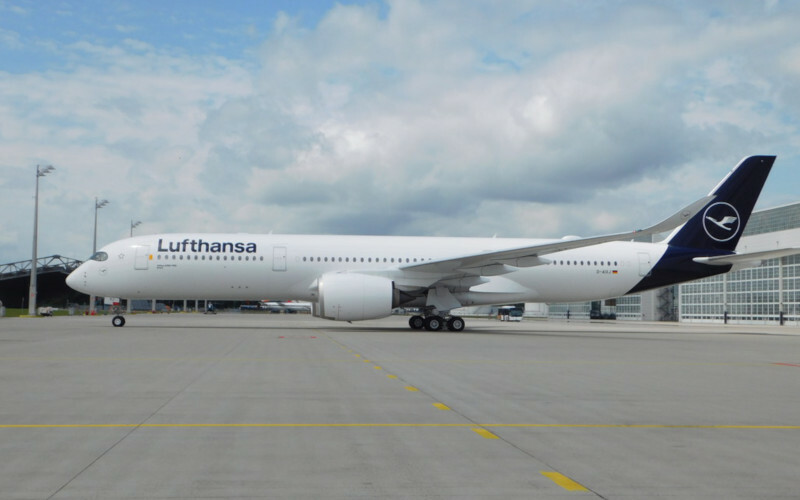 When Lufthansa’s Flight LH494 touches down at Toronto Pearson International Airport on March 31, 2019, it will mark the first time a long-haul Airbus A350-900 aircraft arrives in the city from Europe. The flight connects Toronto Pearson to Munich, which will be just the sixth such North American route connection for what Lufthansa describes as its new flagship long-haul aircraft. The other Lufthansa A350-900 connected cities include Boston, Denver, Chicago O’Hare, Newark and Vancouver. The Airbus A350-900 has space for 293 passengers with 48 seats in Business Class, 21 in Premium Economy and 224 in Economy Class. At just under 5.6 metres wide (18.4 feet), Airbus explains the cabin of the new Airbus is more spacious than comparable models of aircraft. Highlights of Lufthansa’s A350-900 for passengers include a self-service area for Business Class, while Premium Economy Class allows passengers can check in two pieces of luggage at no charge (up to 22.7 kilograms) and food is served on porcelain dishes. The Economy Class area was conceived of by the design bureau PearsonLloyd, which received the German Design Award 2018 by the German Design Council. The aircraft features LED lighting that adjusts with time of day.